WHY ARE MORE YOUNG MEN GOING BALD? Why does it seem like more and more young men in their 20s are losing their hair more rapidly than past generations? Is this really happening or is this a mere configuration of our imagination? Having been on Facebook for over ten years (I am now 29), naturally I have a large group of friends on there, many of whom I went to school and college with. From my friends on Facebook, around 275 are male, most of whom are around my age. Now, having noticed this trend by fluke, I would estimate that over 50% of my male friends have either started to recede or are on their way to baldness before they even reached 30. I found this quite surprising, especially considering male pattern baldness is meant to be something that affects the minority of men. 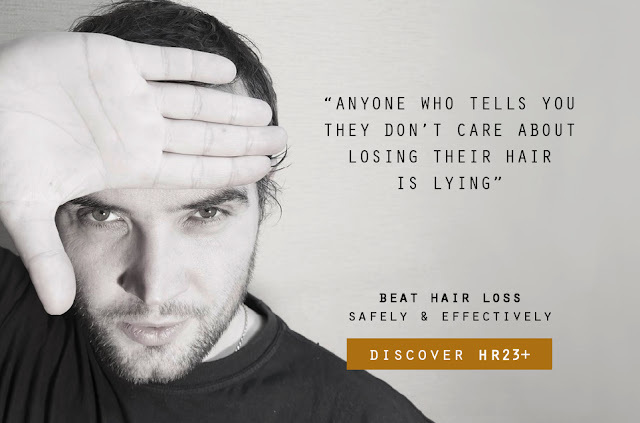 According to some statistics floating around the internet, over 60% of men will suffer from some form of hair loss by the time they reach their 40s. Isn't that just crazy? Surely that can't be true, cant it? It would certainly explain why so many of the men in my social networks seem to be losing their hair at such young ages. So are more men actually going bald? Unless a very large scale study is performed to compare the men of today to the men of yesteryear, this is a question that we cannot answer accurately. If this is actually the case, then I have a few theories that may explain why. Society has changed from 20 or 30 years ago, with dramatic changes in lifestyles, diets and health routines. Even though the main cause of male pattern baldness is genetics, it's no secret that stress can play a huge role in losing hair. It's common knowledge that an increasing amount of young men are suffering from stress more than our past generations ever did. 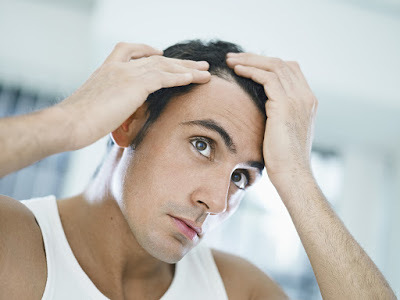 Could this be a valid reason why a large amount of men are losing their hair so early in life? Also, due to the technological factor, our diets and lifestyles have changed dramatically, therefore this could play a huge part in the rapid increase of balding in young men. Are we giving our bodies the right amount of key vitamins and nutrients to sustain healthy hair growth? Based on the theory of genetics, perhaps too many of today's young men have been unfortunate enough to be a part of the wrong genetic pool, of which has cost them their full head of hair at such an early point in their lives. 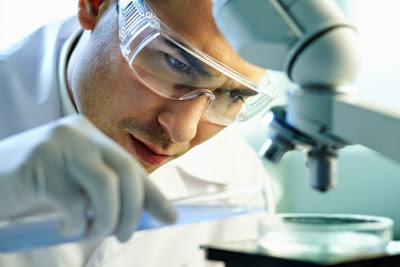 Can hair loss be treated or cured? I am not an expert in the field of hair loss, but I know for a fact there is no cure for hair loss, as the market currently stands. The hair loss industry is worth billions of pounds, so it seems pretty evident that many brands and companies are all wanting a big slice of the lucrative cake. But how many of these 'treatments' on the market actually work, and what is it that they actually claim to do? Like I said, I am not an expert in hair loss of any kind, so don't quote me on this, but having done a little research of my own and spoken to the majority of my male friends on Facebook who are suffering from balding, it seems there are indeed options, in the way of products and treatments, that can enable men to slow down and even prevent baldness. 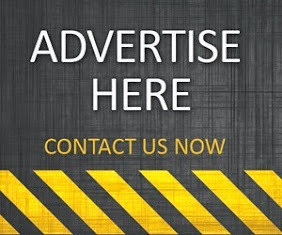 The affordable treatments for hair loss tend to come in two main forms: the oral tablet/pill, and the topical solution. Some guys use one type of treatment and other guys prefer to go for the double combo. Herbal tablets and pills tend to be the most popular form of treatment, as some of them provide the body with key vitamins and nutrients for hair health. Topical solutions come in the way of serums, shampoos, foams and oils that can penetrate into the scalp and revitalise weak hair follicles. The only FDA approved hair loss treatments are Minoxidil (a topical solution) and Finasteride (Propecia), but these two products tend to come with nasty side-effects, so try to avoid these two if you can. 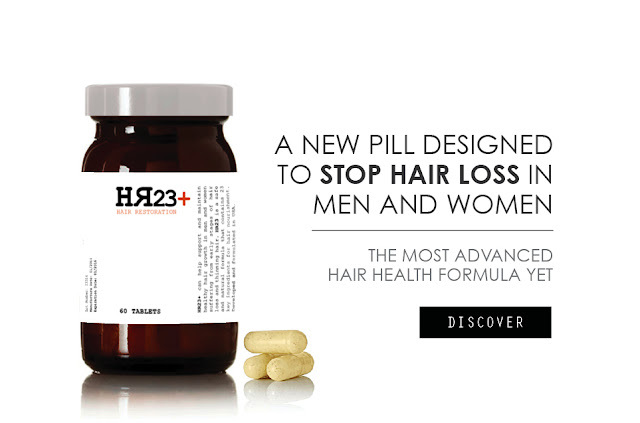 Are men actively looking for hair loss solutions? Of my male friends who I spoke to, I would say only around 10% are trying to do something about their hair loss problem. The vast majority of guys were perfectly accepting of the fact they were going to lose their hair by the time they reached 40, but none were particularly pleased about this. To me at least, and many of you I am sure, it does seem like an ever increasing amount of men in their 20s are suffering from balding and thinning hair. We look at the older generation of men in their 40s and 50s, and so many of them seem to have thick hair and strong hairlines. Could this be pure coincidence or is there some truth in this observation? The main thing to take from this is that if you are a man in your 20s and you are losing your hair, it's always recommended to tackle the issue as quickly as possible. You really don't want to be entering your 40s with no hair on your head, filled with regret that you didn't at least try to do something about it sooner. So, if you're ploughing through the Norwood Scale, then go to your doctor for some advice. If, like many men, you're a little embarrassed to talk to your doctor about your hair loss, then do some research, try some natural products and treatments, and start your battle with hair loss as soon as possible. The earlier you start, the more chance you'll have of retaining a decent head of hair when you creep into your 40s. 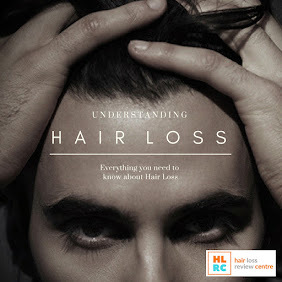 For more information of hair loss, visit the Hair Restoration Centre.